2. Add milk and egg, beating well. 3. Peel and core apples. 4. Slice into 1/4 inch rings. 5. 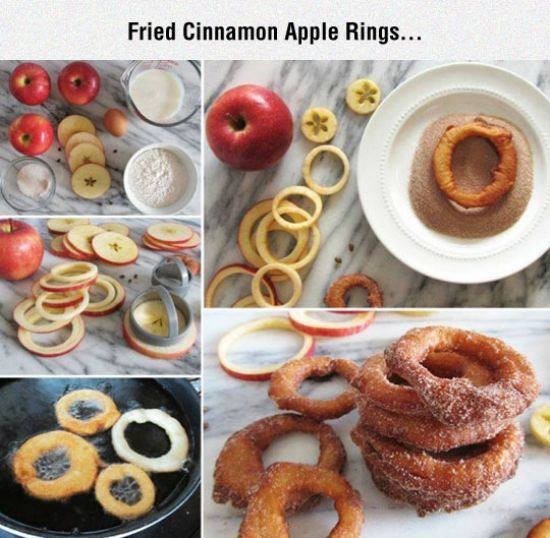 Dip rings in batter and fry in 1/2 inch hot shortening until golden brown. 7. Sprinkle with sugar and cinnamon mixture. I can't even believe how good these look!! There goes my healthy eating endeavor...or does this support it because it's apples?! ?